Valentia’s mission is to provide you with a greater level of overall happiness with your appearance without the harsh chemicals that dry out, stretch, burn, prematurely age in skin. Their skin care products have been formulated with natural and organic ingredients that will repair and protect the skin. Rosehips were a remedy used by the Egyptians, Mayans and Native Americans for their healing properties. Rich in vitamins, antioxidants and essential fatty acids, Rosehip oil is known to correct dark spots and hydrate dry, itchy skin, while reducing scars and fine lines. I have been using this product and I love the way that it feels on my face. I does hydrate my face very well that I don’t need to use any moisturizer unless I’m going out or if I want to. 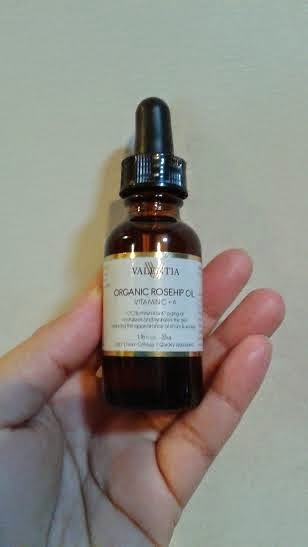 The product does smell to me just like normal oil the consistency and the look also is like oil. 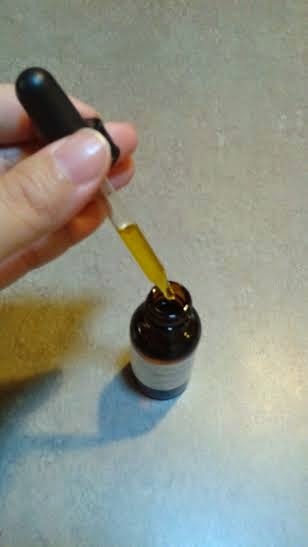 I love that even though it smells and looks like oil it is not greasy( *when it dries your face does not smell like oil*), it is light and the skin absorbed it very quickly. My face looked very nice it also gave it a little glow and my face did not itch all. I did not have any allergic reaction to this product. This product is 100% organic, you just apply and message it on your face or body and you can use it alone or in combination with other moisturizers to deeply hydrate your skin.